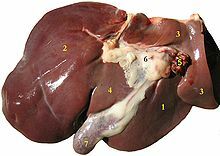 For other uses, see Liver (disambiguation). No way is yet known to compensate for the absence of liver function in the long term, although liver dialysis techniques can be used in the short term. 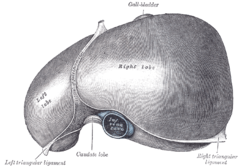 Artificial livers are yet to be developed to promote long-term replacement in the absence of the liver. As of 2018[update], liver transplantation is the only option for complete liver failure. More recently,[when?] 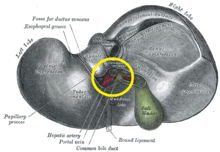 adult-to-adult liver transplantation has been done using the donor's right hepatic lobe, which amounts to 60 percent of the liver. Due to the ability of the liver to regenerate, both the donor and recipient end up with normal liver function if all goes well. This procedure is more controversial, as it entails performing a much larger operation on the donor, and indeed there have been at least two donor deaths out of the first several hundred cases. A recent publication has addressed the problem of donor mortality, and at least 14 cases have been found. The risk of postoperative complications (and death) is far greater in right-sided operations than that in left-sided operations. On November 26, 1987, the city of Ferrol, Spain, inaugurated what is believed[by whom?] to be the only monument to the liver in the world. The then-mayor, Jaime Quintanilla, also happened to be a doctor, and thought it appropriate to promote the monument. At an approximate cost of $3200, the monument stands in the village of Balón. A plaque reads (in Galician, free translation): "The Liver [is the] basis of Life", and below "Through History, Mankind tried to cure all illness. By helping it on this duty, you are doing a great job. We are grateful for it". 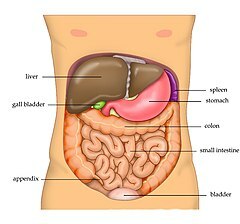 Wikimedia Commons has media related to Livers. This page was last edited on 17 April 2019, at 01:09 (UTC).